Usually when looking through the $5 bin at Wal-Mart or Target or browsing through Netflix looking for something good, I steer clear of urban action movies starring rappers. Why? Well, because most of them aren’t good. I’ve seen some of them and it always strikes me that more work was spent on the soundtrack than on a decent script. So how did I end up watching FULL CLIP? Because I recently watched the 1975 Blaxplotation classic “Bucktown” and while doing research for the review I read FULL CLIP being mentioned as a remake of that movie so I figured why not give it a watch. And you know what? I’m glad I did. FULL CLIP surprised me by being a really entertaining B-movie. It’s got enough of the heart and soul of “Bucktown” to make it a legitimate remake but it also stands as its own movie. It’s not necessary to watch the movies back to back but I certainly would recommend it as a Saturday night double feature. FULL CLIP is presented as the film adaptation of a graphic novel that actually doesn’t exist. Scene changes and transitions are done as comic book panels and it’s just enough to give you that sort of flavor and put you in the mindset of how you should take this movie. In fact, some of the transitions reminded me of the transitions Ang Lee did in his “Hulk” and raises the look of the movie up a couple of notches. Now I’m not suggesting for a minute that FULL CLIP rises to the same level of artistry and sophistication as “Hulk” but it is nice to see a director working to create a unique look and style for his movie. Joshua Pope (Busta Rhymes) returns to his Alabama hometown for his father’s funeral. He intends just to stay long enough to bury his father and then leave. But then he finds out that his father has left him $250,000, a classic Cadillac as well as the ownership of a dilapidated hotel managed by Sleepy (Bubba Smith). It’s going to take some time for the paperwork to be processed so Joshua is persuaded to stay and help run the hotel. It’s not just Sleepy who persuades him to do so. The gorgeous Simone (Shakara Ledard) is also a powerful reason for Joshua to hang around. But there’s just as powerful a reason for Joshua to leave: Sheriff Wallace (Mark Boone Junior) and his right hand man McCloud (Shaun Baker) who make it clear they don’t want Joshua around. Turns out that Sheriff Wallace and McCloud are as crooked as they come, shaking down the whole town for protection money as well as controlling the prostitution, gambling and drug trade. The elder Pope tried to stop paying and got killed as an example to everybody else. Joshua realizes he’s going to need help and one phone call later he gets it. His buddy and fellow ex-Green Beret Duncan (Xzibit) arrives to provide that help. And along with his crew of mercenaries (Tiny Lister’s one of ‘em) they help Joshua take down Wallace and his corrupt cops. And that’s where Joshua’s problems begin. Duncan realizes that this is a pretty sweet set-up and he steps right into the place once occupied by Wallace. And in fact, Duncan and his crew are even worse as they really start to screw the town for every last nickel. Joshua soon comes to realize that he brought this trouble to town and he’s the one who’s going to have to deal with it once and for all. Which means a bloody showdown with Duncan and his mercenaries. 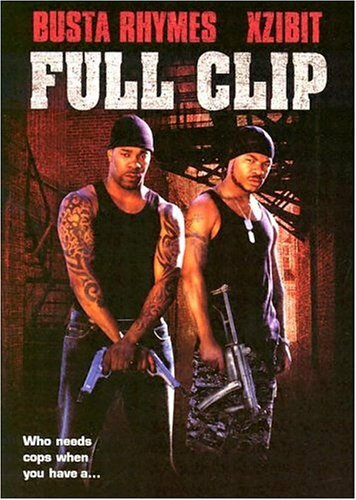 What makes FULL CLIP enjoyable for me is that the writer, director and actors apparently all are familiar with the genres of Blaxplotation and Grindhouse as this movie fits comfortably in both genres. If they took this too seriously it wouldn’t work. But everybody is having just enough fun to let us know we should sit back and just enjoy the story and performances. This movie wouldn’t have been out of place playing in a 42end Street theater back in the 70’s. Busta Rhymes, Shakara Ledard and Xzibit are basically playing the same roles Fred Williamson, Pam Grier and Thalmus Rasulala did in “Bucktown” and while none of them make movie history, their acting is adequate enough to support the material and that’s all I ask from a movie of this type. Bubba Smith reminds us that when he gets the chance he can be quite funny. And it’s always a pleasure to see Tiny Lister in anything and any role. Wyclef Jean is amusing as The Narrator who pops up from time to time to comment on the characters and the action. 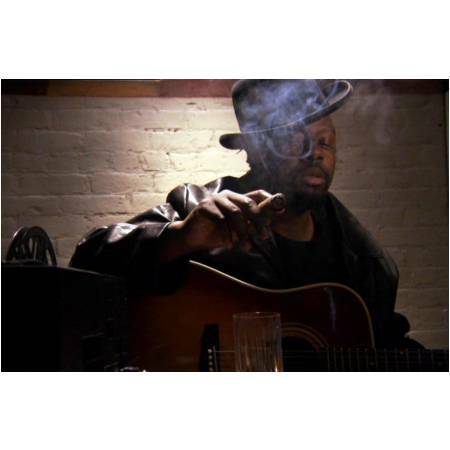 But we must take bitter waters with the sweet and the bitter comes in the form of Bobb’e J. Thompson who is one of those annoying child actors that we’re supposed to think is so cute because he curses and is disrespectful to every adult in the movie, even his mother. Cute isn’t the word I would use for him. And I wish that Ellen Cleghorne had played her role without the unnecessary Jamaican accent that sounds as if she’s doing a bad Miss Cleo imitation. So should you see FULL CLIP? I will be the first to say that this movie is not for everybody. 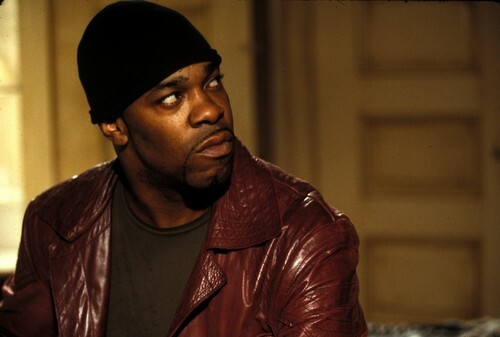 Some people just don’t take to urban action movies starring rappers and I’ll be honest: if it wasn’t for the fact I like Busta Rhymes and Xzibit, I’d probably have given it a pass as well. But given that the cast has such solid players as Bubba Smith, Mark Boone Junior and Tiny Lister present, I gave it a try. And I wasn’t sorry I did. I don’t think you will be either.